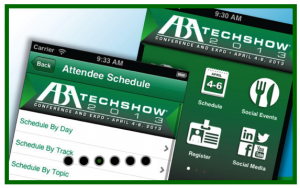 There are some conferences that are just too good to sum up in a few words (or even a few paragraphs), and ABA TECHSHOW 2013 is one of them. Nevertheless, I will try to relay some of my thoughts for those who were not able to make it. Education :: The CLE sessions offered are second to none when it comes to technology. I know a fair amount about legal technology, but I never fail to pick up several helpful tips here that I can implement immediately to improve my practice. I will be sharing some of them with my readers over the coming weeks. I want to acknowledge the hard work that track leader Randy Juip put into planning the Mac Track this year, as it was very well attended and extremely well received. Also, the plenary session from Sharon Nelson and John Simek about tracking the “Craig’s List Killer” was captivating, and David Pogue‘s keynote was amazingly entertaining. Vendors :: Both portions of the Expo Hall were filled to capacity with vendors offering all sorts of programs, apps, hardware, and anything else you could possibly imagine. We spent several hours in the Expo Hall this year, and we saw some very interesting items. TECHSHOW is unique in that you can often speak directly with the developers of these programs, and many times they will give me a sneak peek into their upcoming releases. Some of ones that I was most impressed by were Rocket X1 and LitSoftware‘s TrialPad and TranscriptPad. Friends :: Last but certainly not least, TECHSHOW provides me with a chance to spend quality time with some of my good friends, whether sitting with them in CLE sessions, having lunch or dinner, chatting in the Expo Hall, etc. Because they are scattered all across the country (and the world), it is difficult to see them as often as I’d like, so I really treasure opportunities like this. There are simply too many of them to name here, but they know who they are. I’m already looking forward to TECHSHOW 2014, and it can’t get here soon enough.